Another legitimate cause for anxiety concerns the confidentiality of the gathered records. It is all the more threatened since the center works with other social welfare institutions or social centers. In this connection there are reasons to fear negative effects of tracking down and labeling psychiatric cases, which can disturb these people in their social life and their work. The population undergoing treatment should also include migrants, a fact that makes the presence of transcultural specialists in psychiatry and ethnopsychiatry essential, not only better to define their pathology from the lexicon of their own cultural terms but also to understand the effects of traditional treatments that they may well continue to follow in the country of their immigration. The indisputable advantage of this concern is to consider the possibilities of an ethnomedical approach and to turn one’s attention to data coming from medical and social anthropology. Let us mention just one example here: one could wonder about the reasons for the seasonal increase in some patients as if it were a matter of chronopathologic cases. Shouldn’t one consider the fact that during the summer, when many families take trips, they are forced to hospitalize mentally sick persons who usually live with them? The thoughts we have just developed show us what the activities of these centers could be in the near future: they should become the center of psychiatric activity. The example of organizing psychiatry into sectors, as done in France, generally speaking, remains a model. One essential condition is that the unified character of the care and its continuity should be respected, whatever the duration of the disease, and the place of treatment. A disadvantage of such an excessive organization is that each sector wishes to have at its disposal all necessary resources for the various forms of mental pathology on the site. The danger is that small psychiatric ‘feudalities’ will be established which will attempt to ‘take charge of’ the numbers of patients. The result is indeed unfortunate and has a connotation that echoes of charity and psychiatric surveillance that brings back to mind past isolation. The psychiatric ghetto could be recreated in such cases around the mental health centers in the towns. In other respects, future mental health centers should treat different types of cases in the pathology range but they should take into account the increasing skills of other specialists in the medical and social fields with which they will reach a certain degree of agreement on planning actions that should be undertaken. This proposal for division of responsibilities is essential because otherwise one would be faced with an unwieldy bureaucracy, familiar to psychiatric teams, who run the risk of neglecting the patients because of excessive time spent in meetings. The field of mental health and the skills of those who work in it must expand if one truly wishes to understand the concerns of existing populations. We will just give two examples. Problems of infertility standing in the way of demands of birth planning and the programmed desire for pregnancy and parenthood. Psychiatrists could open a road to research and assistance programs for families who have difficulty with conception or who wish to have recourse to methods of artificial insemination. Of course, their research should deal with the condition of children born after this type of fertilization has been implemented. Studies, in which many psychiatrists have co-operated, dealing with early interactions between infants and their caregivers, have been assessed and have led to remarkably effective therapies of functional disorders that are observed in these circumstances. It has also been possible to reveal some risk factors for serious neglect or abuse in some families—let us mention those that involve a psychotic mother—thus there is a necessity to plan specific measures. Naturally, the psychiatrist does not work alone in these situations. His research and the action taken will, at some time, be reappropriated by gynecologists or pediatricians whom he will have provided with additional tools. Thus everything points to the danger of isolating psychiatry in its language and practice. One should not continue to put somatic health and mental health in opposition. Such an out-of-date division leads to separating physical and mental factors of a disorder. It amounts to a naive version of the psychosomatic approach, according to which disorders without organic etiology were considered of psychological origin and patients were evaluated as not truly sick individuals but as ‘hysterics’ ripe for the psychiatrist. The concept of holistic health calls for an all-encompassing approach to the person, his family and the society in which he lives (Manciaox and Lebovici 1987). In this concept health is evaluated according to somatic, psychological, social and family studies that should in every case be related to an epidemiological approach and to public health in order always to evaluate the risks and the resources of the individual in question and of his environment. In every instance when a patient’s history is taken, effort should be made to ensure that the account is vivid and includes not only the events experienced but also the extent and importance of the patient’s transgenerational conflicts (Lebovici 1988). All who work together in holistic health should obviously make sure they retain their professional identity, without which there is no protection against a resistance to act. One example is the situation of the aged, who are increasing not only in number but also in isolation. Gerontopsychiatry can be used to help older persons in a way that avoids either extreme of neglect or of monopolization of care. Experience has amply demonstrated that old persons can benefit significantly from psychotherapeutic interventions much later than had previously been thought. Likewise, advances in medical technology have led to prolonged life in cases of diseases that were still considered to be incurable a short time ago. But, at least in some cases, it is at the price of significant maimings that are considerable and painful for the affected individual and his family. When these patients are going to die, one should be at their side or facilitate for them what one calls, more or less aptly, passive euthanasia. The psychiatrist should help those who face this difficult task, rather than refuse to ‘dirty his hands’ . The staff of future mental health centers should not be limited to psychiatrists and psychologists alone. It is often observed that there is a surplus of these professionals. In France the threshold requirements for future specialists has dreadfully curbed their recruitment. During the 1970s, one out of every ten medical students became a psychiatrist. Now, however, this excessive number has been cut back too much. There is a need for these specialists, as we think we have amply demonstrated, because they are useful to the development of other branches of medicine. In any case, the plans of mental health centers go beyond the medical field and require the co-operation of social workers and counselors. A community approach, in the broadest sense of the term, implies the co-operation of sociologists, anthropologists and even economists. It remains to be seen what forms of co-operation should be established among local politicians, other decision makers and consumers. This is a difficult problem to solve because the solutions chosen must find the middle ground between two extremes: the technocratic approach and the ‘democratic’ path that ignores the benefits of professional management. This will, understandably, be of increasing importance. It must be accessible to non-psychiatric personnel, who often need theoretical and technical training—in particular through case records and data sharing. The group methods put forward by Balint have had notable success. Obviously, parents have a right to information but one must not forget that patients, even children, have the right to absolute confidentiality—which should encompass everything they confide and results of psychological examinations. Ethics and morals must be rigorously and scrupulously observed. There is no need to describe the new types of institutions dictated by the inevitable development that we have predicted. The time has passed, as we have seen, when each service could claim to have at its disposal all the necessary institutions for all the kinds of patients it would encounter. Regroupings are necessary and informal institutions putting less emphasis on medication (so-called ‘halfway houses’) will increase in number. Since they will be relatively inexpensive, they will play the role of preliminary places for reintegration. But, let there be no mistake, chronically sick individuals will not disappear as if by magic. In this regard, Italy’s experience is very illuminating. An attempt was made in that country to abolish psychiatric hospitals. Then, asylum-like medieval places were recreated. These warehouses are clearly not propitious for those who are doomed to stay there. In this chapter we have looked at the future based on the experiences of the past, but at this point we would like to speculate about what will come. Both history and writings about the recent past, in which we took part, have stimulated and informed our thoughts about the future. It seems to us that looking back is the only way to imagine what mental health will be like in the year 2000 (Lebovici 1986). We predict nothing dramatically new but, naturally, the organization of care will probably assume some of the characteristics we have tried to develop in this chapter. One should learn from the experiences of group and ‘sectoral’ psychiatry, advances in chemotherapy, limitations of psychiatric measures and the criticism they have generated, advances in training other specialists and the success of other technical approaches. New pressures toward a better quality of life will also enlarge public centers’ activities. There is a twin danger threatening the future of public mental healthcare centers: they risk losing their identity by drowning in health centers where they will have to comply with the rules of community medicine and where they might neglect the specific approach of psychiatry and psychotherapies adapted to the populations for which they were designed and they may become isolated from the mainstream of psychiatry and limit their sphere of activity to social measures which will ultimately be not unlike the principles that governed asylums. Mental health centers should participate in psychiatric and epidemiologic research. Research offers them the possibility to aid the assessment of their co-operation with teams in the social and medical fields. There is no future for mental health centers unless they remain faithful to their origins and their vocation. When Pinel declared that the mentally sick should be liberated from the chains that marked the disgrace with which they were stigmatized, he declared them to be sick but treatable. He, and later Esquirol, proposed the construction of large specialized facilities, asylums, where daily routines should be organized to overcome ‘mania’. The concomitant surveillance necessarily had to be similar to surveillance in prisons: it necessarily had to lead to oversight and to punishment. Community psychiatry has succeeded in truly liberating patients from their shackles. The task of the mental health centers of tomorrow is to make sure that it continues to do so. Research is required to determine the practices that might promote better mental health at the beginning of the twenty-first century. This research must take into account what one observes outside psychiatric circles and outside community practice. Progress will be built on the following pillars, which we have anticipated in the foregoing work. The future can often be predicted from the past, as we have mentioned several times. For example, fundamental changes in the organization of our nervous system are always astonishingly slow and regular but social and cultural changes (particularly in western society) are astonishingly quick and, in some respects, unpredictable. As a result, man does not find himself facing new problems but primarily facing new demands that probably manifest themselves in a stronger and more intense fashion outside the traditional context of the need for care. The problems of mental healthcare will still probably tend toward de-emphasizing medication and they will do so at the very moment when psychiatry will claim increasing successes from the discovery of powerful chemical molecules. This is how psychiatry will ‘re-emphasize medication’: it will entail stricter evaluations and it will strive to use comparable and criterial tools to classify the facts it observes. It will benefit from advances in neurobiology and profound knowledge of the functioning of the nervous system, particularly due to advances in modern imagery technology. In the future, based on neuropsychological exploration resources, it will again become neuropsychiatry. This change cannot be assessed without considering the fact that the emphasis on medication in psychiatry inevitably coincides with criticism of psychotherapy and, of course, of psychoanalysis. Some speak with an air of condescension about psychotherapy, at least those forms that claim to be based on solid theoretical foundations, those that define the unconscious. One can imagine that medical neuropsychiatry will follow its course while psychotherapy, losing trained therapists, will become the field of a vague specialization, a specialization where acts will take the lead foreshadowing numerous methods that claim their own place under the sun treatments in weekend group seminars where physical resources, etc, are used. One already has a very clear picture of the excesses that one can observe among those who demand happiness, strength and beauty more than health and who, moreover, want it instantly. In addition, growing reliance upon atypical, so-called mild alternative therapies will lead many consumers to treatments that avoid mental health specialists and that are particularly difficult to evaluate. We have seen that the families of patients prefer the vocabulary of disability and handicaps to that of disease. Their formation into associations has given them political power. Thus a justified and useful movement—considering that relatives must live more or less closely to their mentally ill family members—is threatening to degenerate into a useless and dangerous struggle with ‘medical power’ . Demographic changes bring consequences that are easy to foresee: there have been tremendous migrations toward western industrialized nations. These populations have their therapeutic traditions to which they sometimes remain partly faithful. They often have a different conception of mental illness, tantamount to belief in magic. Therefore, it will not only be a matter of developing ethnopsychiatry, as we have seen, but also of training specialists in this transcultural approach and, without doubt, of co-operating with traditional healers. This forecast for the future naturally leads one to imagine new forms of pathology with which those who follow us will have to deal. AIDS gives us some insight. It is probable that sociopathology will present numerous problems. One can get an idea of what they will be by considering the increase in the consumption of drugs. One could also believe that psychiatry must be in contact with ‘catastrophic medicine’, and that future mental health specialists must be prepared to participate in the prevention of, and treatment of, major causes of stress—such as, for example, terrorism and natural disasters. 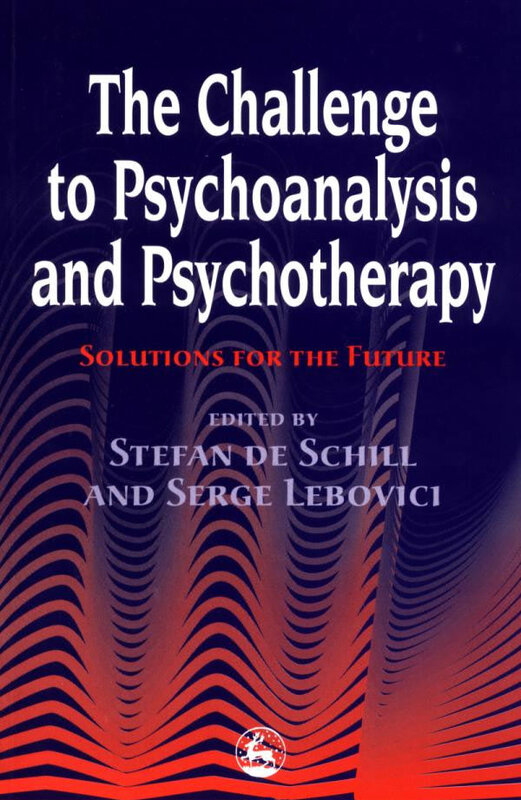 As for the future, our hope is, therefore, that psychiatry will remain true to its psychopathology traditions and continue its development while taking advantage of advances in neurobiological research but that it will not become isolated and that it will fit into the practice of ecological medicine that considers the totality of the human being whilst keeping in mind both the specifics of his physical make-up as well as his individual and family background. Gauchet, M. and Swain, G. (1980) La Pratique de I’Esprit Humain. Patis: Gallimard. Lebovici, S. (1986) ‘La santé mentale en l’an 2000′. In C. Chiland and G. Young (eds) Les Nouvelles Approches Therapeutiques. Lebovici, S. (1988) ‘Fantasmatic interactions and intergenerational transmission’. Infant Mental Health Joumal, 6,1,10-19. Manciaux, M. and Lebovici, S. (1987) L’Enfant et sa Santé. Paris: Doin.